The TOEIC® Official Learning and Preparation Course features 2 progressive learning modules from intermediate to advanced. Each of the modules contains 30 hours and divides into 8 topic based units. Every unit includes 5 lessons targeting Reading, Listening, Grammar, Speaking with a practice test and a full TOEIC Listening and Reading test at the end of the module. Course content uses real-life workplace scenarios and over 700authentic TOEIC test questions to help you strengthen and practice the skills that are specifically tested on the TOEIC Listening and Reading test. 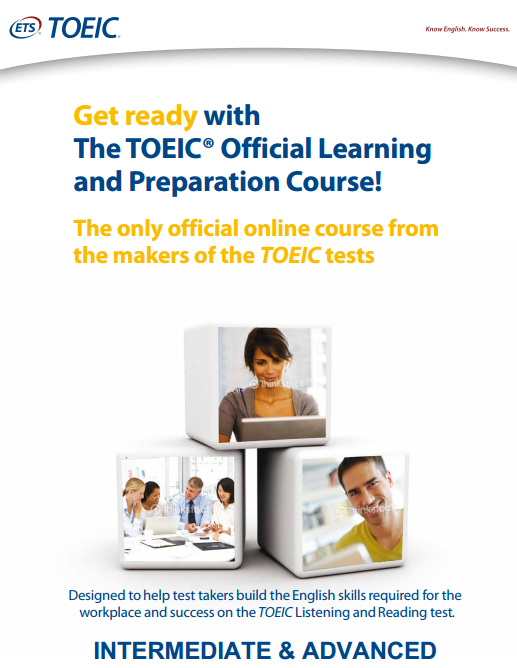 Self-paced and accessible 24/7, the TOEIC Official Learning and Preparation Course is the only course created by the maker of the TOEIC tests.